WonderKids Club™ is an enrichment program that extends The Little Gym experience for New York children ages 3 and 4. Self-expression and imagination are at the heart of this engaging program that celebrates the awe of learning. Each three-hour WonderKids Club session combines a Funny Bugs or Giggle Worms gymnastics-based class with active learning and instructor-led, immersive play in the Multi-Purpose Room. Arts and crafts projects, creative songs and story time all reinforce the week’s Learning Unit and theme. Joining WonderKids Club doesn’t require a special password or a long-term commitment. 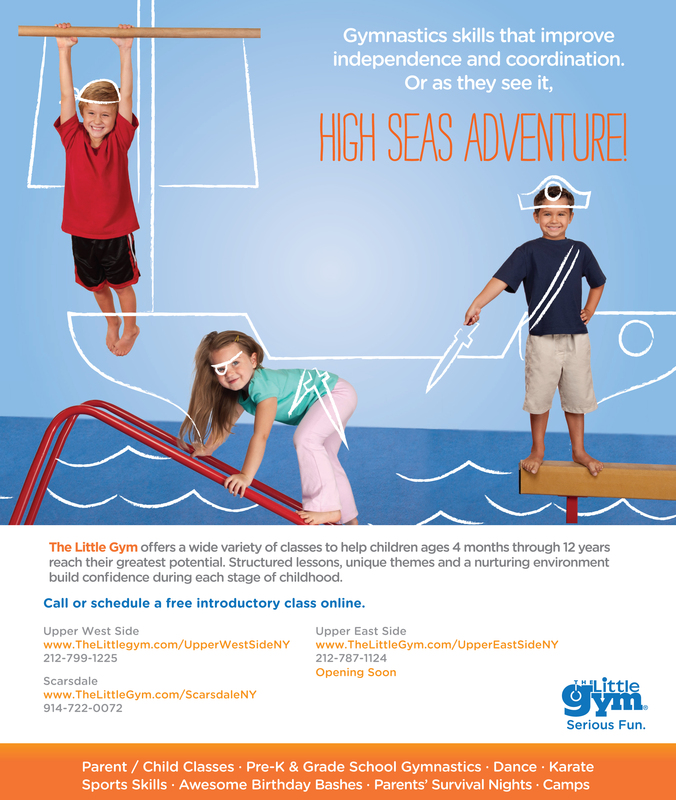 All children ages 3 and 4 may join, regardless if they also participate in another program at The Little Gym of Upper Westside. WonderKids can enroll for as little as one session at a time, or as much as the entire Season. Call (212) 799-1225 to speak with a team member about joining WonderKids Club today! Parents call it a break from the kids. Kids call it a break from their parents. That sounds like a win-win situation to us. The Little Gym of Upper Westside Parents? Survival Nights let you enjoy some adult time to see a movie, catch up with friends or enjoy a meal without—ahem—your pint-sized food critics in tow. Meanwhile, your children get some quality “kid time” in a safe, fun, familiar place with trained instructors who lead them through games and music-filled activities. We schedule Parents? Survival Nights for select Friday and Saturday evenings. Spots fill quickly, so call (212) 799-1225 to book your win-win parents’ night out. This holiday season, busy parents can sign up their spirited little ones for holiday camp days at The Little Gym. Each camp is centered around an interactive and fun theme such as Winter Extravaganza "Slumber Party," Ice Cave Pirate Adventure, and Fun with Winter Sports and Speed Skating. Kids have fun playing while building confidence and developing motor skills under the supervision of trained professionals who facilitate in a friendly, non-competitive environment. Each camp day is three hours, designed for ages 3-8, and includes obstacle courses, group activities, movement challenges, arts and crafts, and snacks.